The RB Bassfishing Group is excited to have Derrick Hicks and Jen Edgar join the group and we look forward to assisting these young anglers in growing with our great sport of Bass Fishing. 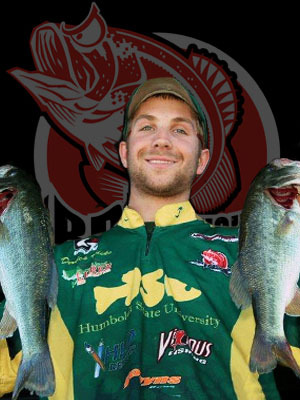 We would like to thank the supporting sposnors who are helping these College anglers live there dreams. DM Custom Baits,Zipper Worms,Dobyns Rods,Berkley,316design,El Grande Lures,Hat Cams,Rod Gloves,Daiichi Hooks,Abu Garcia,Bass Angler Magazine, and Berkley Trilene. Look for exciting updates from these anglers all year in 2011 with special updates on the college bass fishing tour.These Anglers are fishing the upcoming FLW College series on Lake Shasta. We wish them well! Good Luck!